OnePlastics have a strong tradition of continuing investment, with €30million spent during the last three years. a new fleet of delivery vehicles. The Tamworth site recently completed a major twin shot (2K) production cell installation to support a growing partnership with a key customer within the construction sector. The project centred around tooling designed to improve the design of a drainage riser. 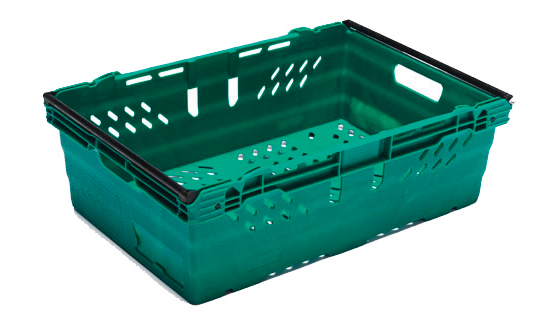 This year saw OnePlastics enter the RTP market with their patented range of OneNest bale arm trays. This provides customers with the option to buy these industry compatible products directly from the UK manufacturer, shortening and streamlining the procurement process. OnePlastics is today featured in The Telegraph’s Business Club. The post profiles The One Plastics Group, explaining to readers who we are, and what we do. It also details our recent growth and what we are planning for the future. The post also contains a fantastic video, giving a great insight into how OnePlastics as a company is run. To read more from this post, click here. Dublin – January 22, 2016 – One51 plc, a leading plastics and environmental services operator, today announces that it is investing €8 million in its OnePlastics Group subsidiary, Protech Plastics (“Protech”), in Cork, Ireland and is also expanding the OnePlastics Group manufacturing facility in Shanghai, China. The investment in Ireland will result in the development of a state of the art food grade manufacturing facility located at Protech’s existing site at Little Island, Cork. The investment is targeted at enabling Protech to produce innovative packaging products to support the growing Irish food industry. The investment will result in the new food grade manufacturing facility adopting best in class production technologies and automation. This expansion will result in the number of people employed by Protech increasing from 100 to 125 over the next two years. OnePlastics Group also operates a facility located near Shanghai, China supplying products to its multinational clients. As part of its continued expansion, One51 will also invest to double the size of OnePlastics Group manufacturing facility in Shanghai. This expansion is required to cater for rising customer demand and also to ensure that our facilities are appropriately configured for future customer growth. Protech supplies leading-edge containers to a range of customers and designs and manufactures specialist plastic components for multinational firms in the nutrition, pharmaceutical and data storage sectors. Protech’s facility at Cork also hosts the OnePlastics Group’s dedicated Innovation Centre of Excellence which was established in 2015 to foster innovation and new product development across the OnePlastics Group. One51 comprises two operating businesses focused on plastics and environmental services. One51 is headquartered in Dublin, Ireland and has operations in Ireland, the UK, Canada, the USA and China. This statement contains forward-looking statements which reflect management’s current views and estimates. These forward-looking statements involve certain risks and uncertainties that could cause actual results to differ materially from those contained in the forward-looking statements. Potential risks and uncertainties include such factors as general economic conditions, foreign exchange fluctuations, competitive product and pricing pressures and regulatory developments. Management undertakes no responsibility to revise any such forward-looking statements to reflect any changes in management’s expectations or any change in circumstances, events or the Group’s plans and strategy. Accordingly, no reliance can be placed on the figures contained in such forward-looking statements. The UK’s largest manufacturer of wheeled bins has strengthened its position as market leader with a seven figure investment in new machinery to help increase production and target new markets. 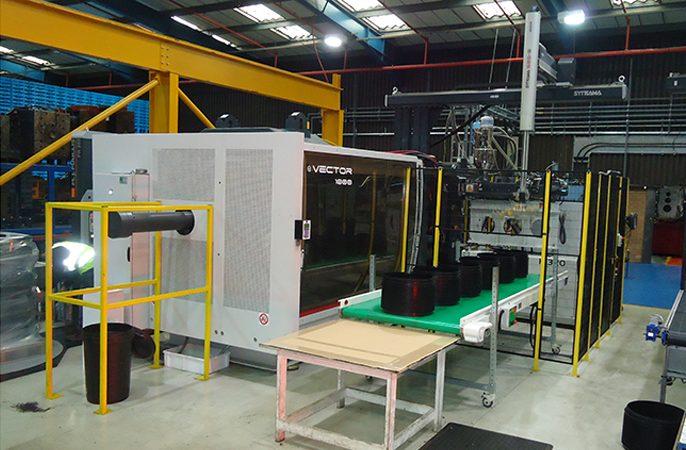 MGB Plastics has continued its commitment to UK manufacturing by bolstering its business with a new 2700t Krauss Maffei injection moulding machine at its Rotherham factory. 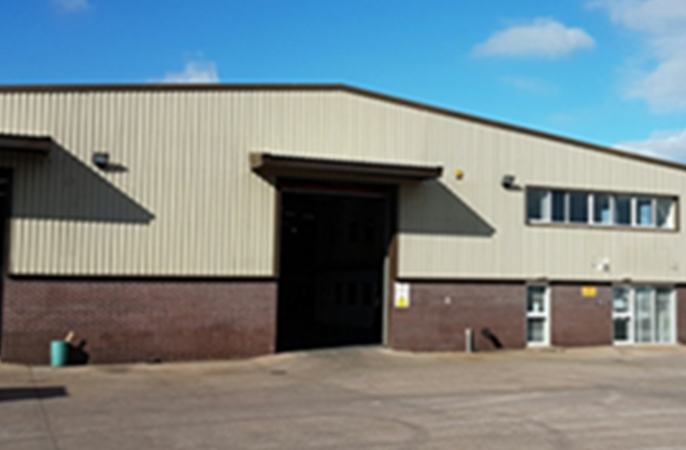 This recent addition – its fourth investment in as many years – will complement its existing portfolio of equipment to allow the company to manufacture more products, cope with extra demand and boost sales as it targets a growing share of the market. It currently has the largest share of the UK wheeled bin and recycling container market alongside sister firm Straight Ltd, both part of the OnePlastics Group portfolio. Karl Stillman, OnePlastics group sales director, said the new machine would help service existing client requirements while building on its client base as the company looks to post a record-breaking year. He said: “We are delighted to have acquired this new machine which is central to our long-term plans and a perfect complement to our existing portfolio. It will fulfil our immediate requirements of existing clients while giving us that extra production capacity to cope with extra demand as we look to increase our client base. 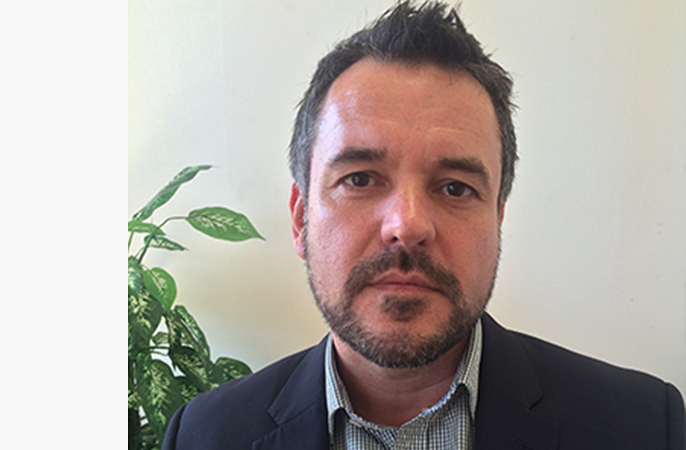 “We are seeing a strong order intake from clients within all of our chosen market sectors and are expecting a record breaking year in 2015. The new Krauss Maffei 2700t injection moulding machine tool will mean reduced setup times leading to increased flexibility and energy efficiency combined with shorter production lead times. One51plc, based in Ireland, recently created a new brand called OnePlastics Group which saw seven businesses come together under one brand umbrella with a vision to be the leading provider of plastics products to a variety of sectors. It plans to grow its client base organically by winning contracts locally and by acquiring strategic targets such as the purchase of Straight Ltd- one of the UK’s leading wheeled bin and recycling container manufacturers. 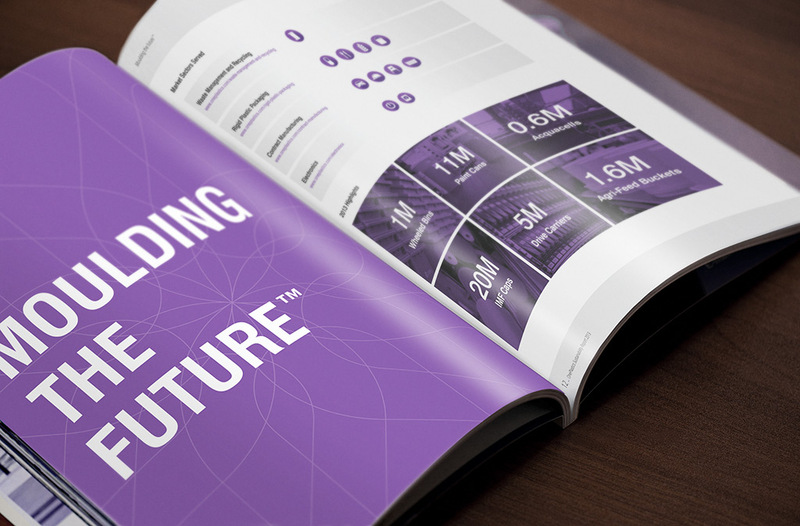 A milestone for OnePlastics as we release our very first Sustainability Report for the year 2013. Our commitment to constantly monitor, assess and invest across all areas of the business is bolstered by our latest report on the sustainability of the OnePlastics Group. The report itself closely examines areas of the OnePlastics group across the globe, detailing the level of activity that is currently ongoing in the area of sustainability. Continual investment in our people and manufacturing facilities since 2010 means that we remain at the cutting-edge of injection moulding technology, manufacturing and developing new techniques which enable us to provide better products, better services and better places to work. We’re confident this report will have a long lasting impact on the already existing good practices across the group, and also result in increased sharing of learning across the OnePlastics group globally. 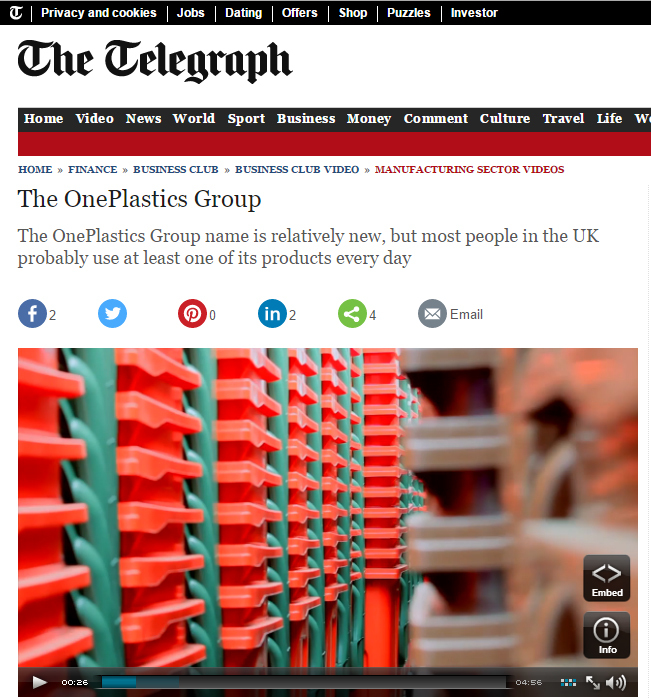 The launch of the OnePlastics Group has been making headline news across the world. The new group, which has been born out of One51 plc Group, includes a group of seven businesses which have been brought together under a single name. Following the official announcement of the launch earlier this month, OnePlastics has been featured on the likes of the European Plastics News website and by British Plastics & Rubber (bp&r). News of the launch has also made its way across the Atlantic, with Canadian Plastics featuring an article in its daily news section online last week. Plastics News, which, together with its sister publications, makes up the largest plastics publishing organisation on the planet, has also featured the OnePlastics launch on its website. The international interest in the new group is great news for the septet of businesses it includes. Between them, UK-based MGB Plastics, Straight, AAC Structural Foam, AAC Technology, Protech Plastic Containers, as well as Protech Performance Plastics and Thormac Engineering in Ireland, and Protech Plastics China will employ around 450 people and is anticipating annual sales of €150million. MGB Plastics is delighted to reveal that it has been nominated as a finalist in the Barnsley and Rotherham Business Awards. More than 100 entries were submitted for the prestigious annual awards, which are organised by the Barnsley and Rotherham Chamber of Commerce and run in association with Solar Europa, and will take place in Barnsley this year for the first time.MGB Plastics’ investment in new state-of-the-art equipment, training initiatives and enhanced green credentials has seen them rewarded with a place on the final shortlist for the Brook Corporate Developments Excellence in Manufacturing Award.